Looking for a hidden gem ski experience. 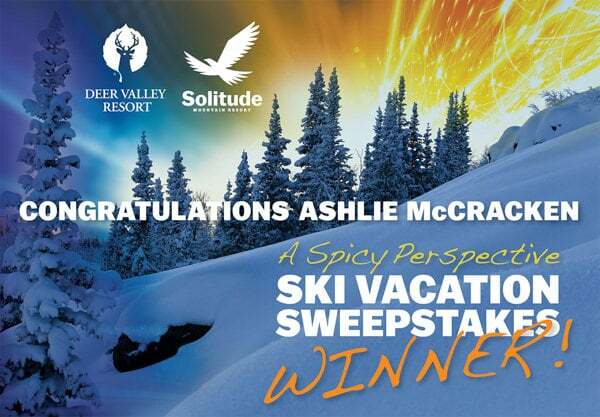 Today I’d like to share Why You Should Ski Solitude Mountain Resort! 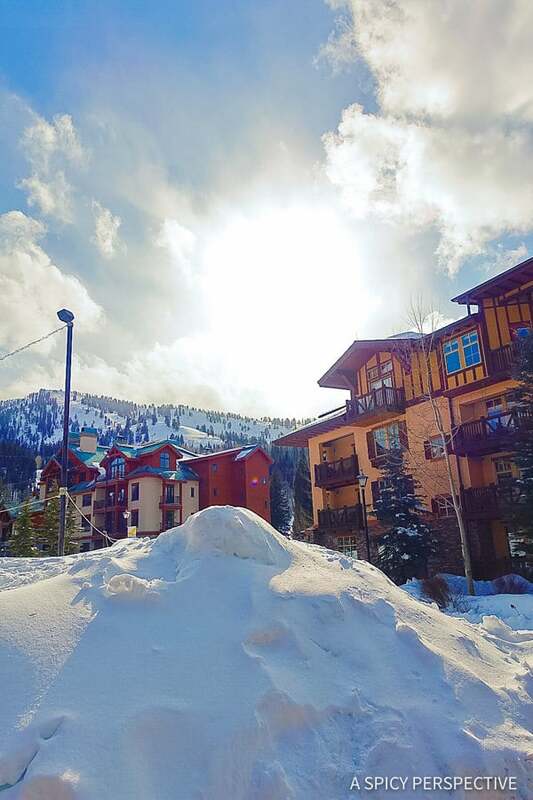 It may seem a little early to be thinking about your next ski vacation, However, this is truly the perfect time to book. 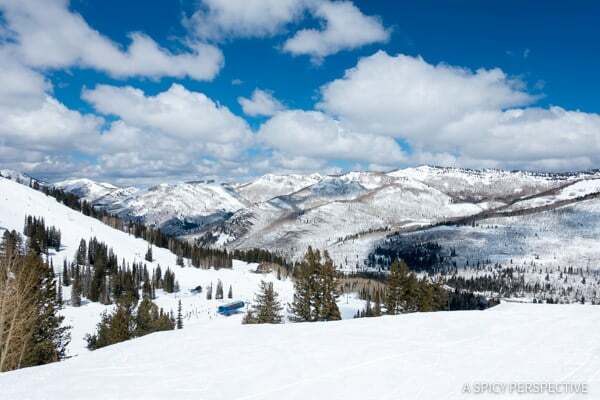 Ski resorts all over the country are rolling out their new seasonal deals this month! 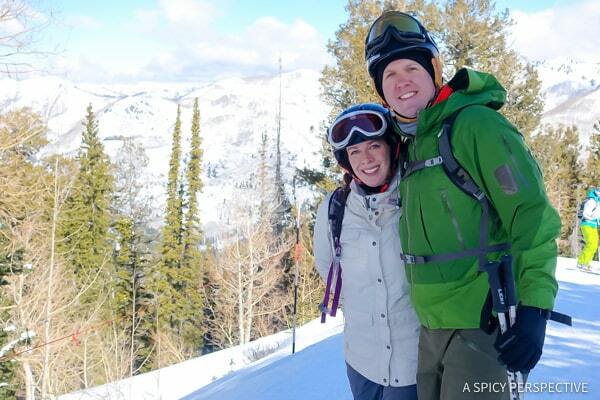 Last spring our family had the opportunity to visit Deer Valley Ski Resort and Solitude Mountain Resort close to Salt Lake City, Utah. 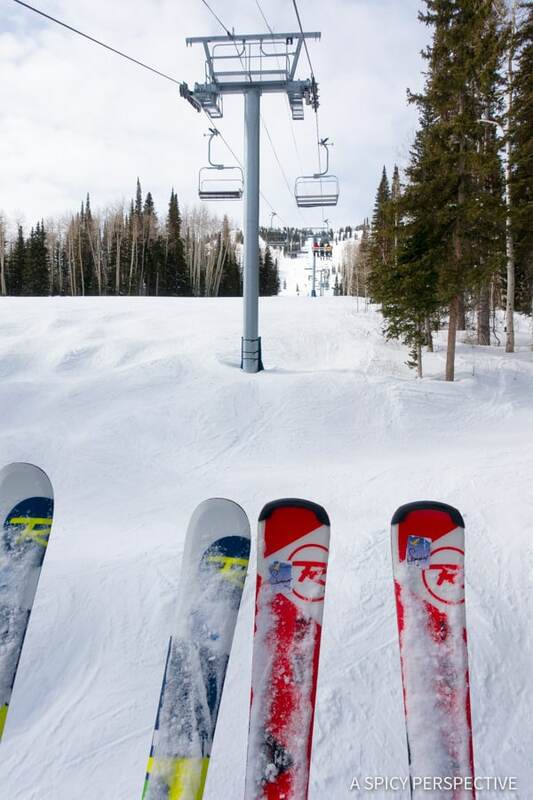 We love Deer Valley, having visited the year before, and had heard they bought another ski resort in the area called Solitude. After experiencing the excellence at Deer Valley, we wanted to check out Solitude Mountain Resort this year to see how it compared! What we discovered is that Solitude is considered a local “best kept secret.” When other area resorts are packed out, with long lift lines and too many people on the slopes, Solitude is still relatively quiet. Why? Not as many people know about it. It’s that simple. 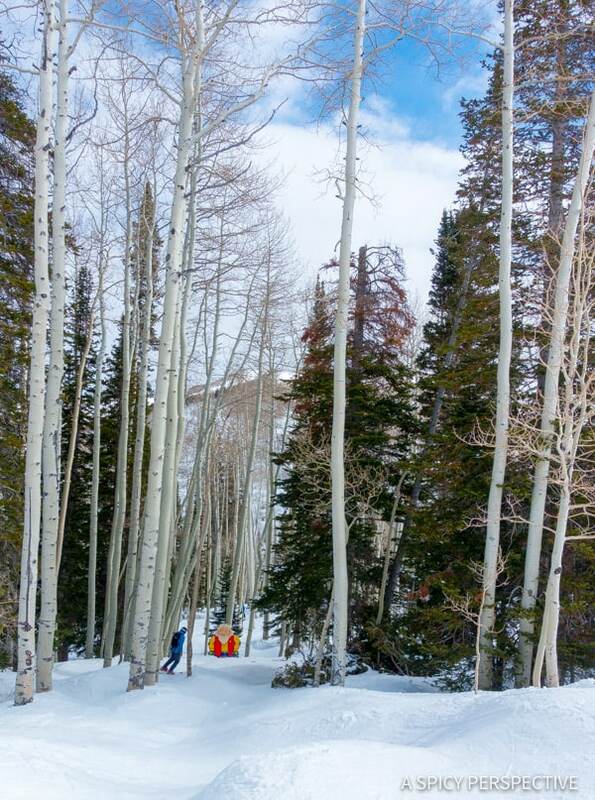 We heard over and over from staff (and other locals) that Solitude is their favorite place to ski. With stunning views, short lift lines, and tons of room to maneuver on the slopes, it was easy to see why. The locals say there is more snowfall “on this side of the mountain” compared to other ski resorts in the area. 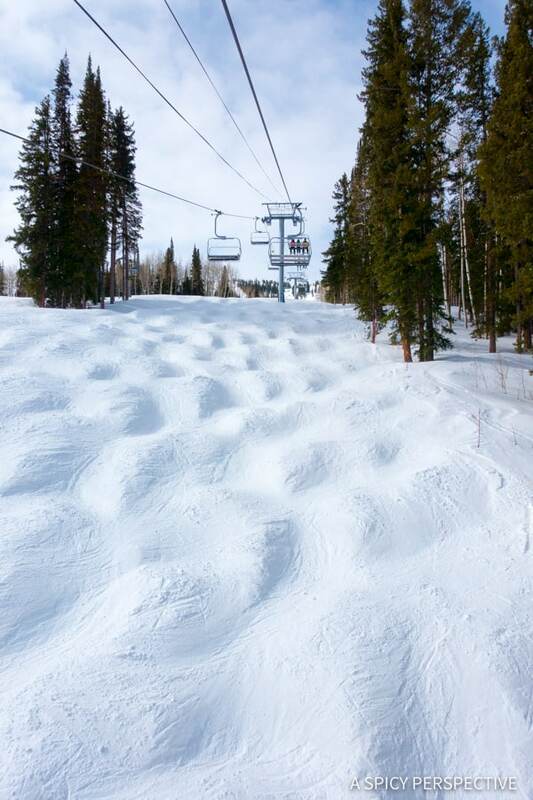 So when most resorts are blowing snow, Solitude usually has a generous coating of natural snow. Plus, Solitude has quite a bit of advanced terrain for skiers that have been around the block, so to speak. 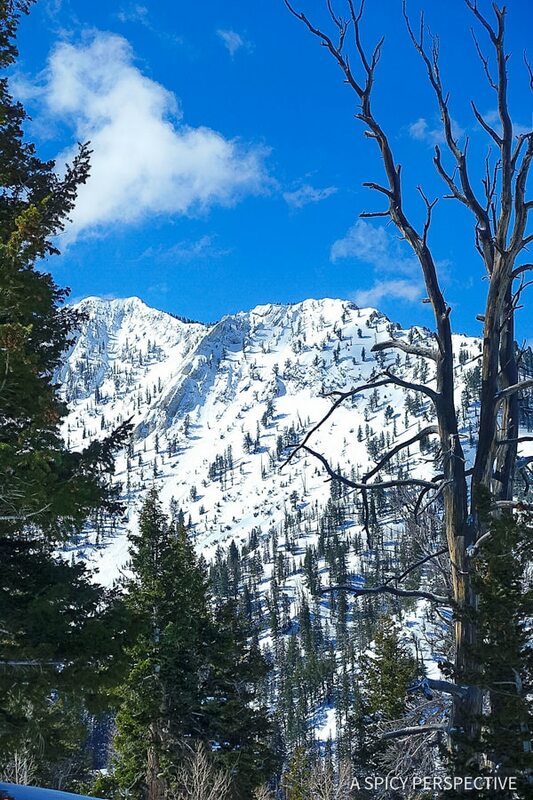 Although we found plenty of easy slopes to ski, we noticed more double blues and black diamond slopes than at the other ski resorts we have visited in the area. 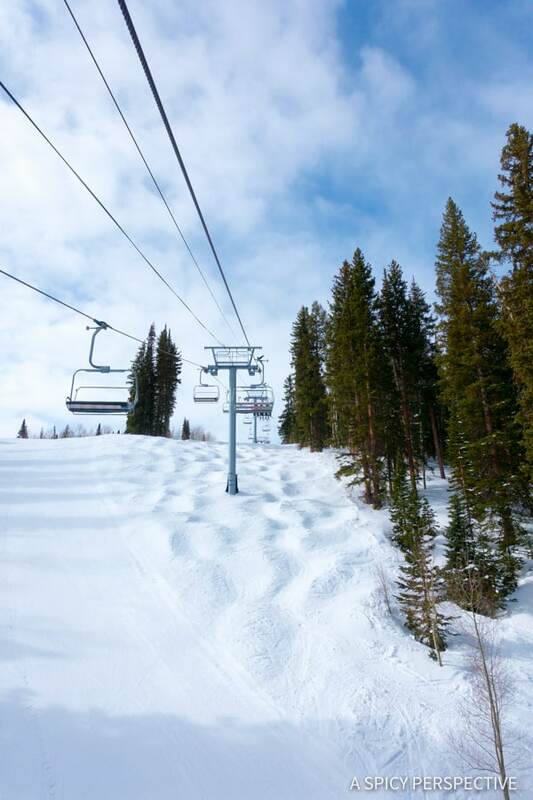 And did I already mention that Solitude Mountain Resort is not crowded? I think it’s important enough to state twice. Ski injuries often take place when skiers collide on a busy slope. However, at Solitude we felt like we owned the mountain. There were several slopes we skied down that were completely untouched. 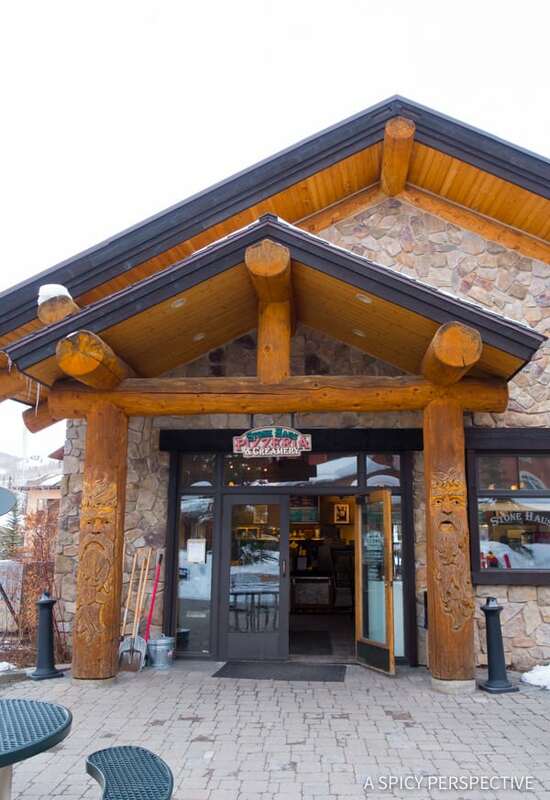 Solitude Village – At the base of the mountain Solitude Village is a quaint collection of condominium lodges and restaurants, with a ski rental shop, various general stores, a heated pool, game room and kid zone. 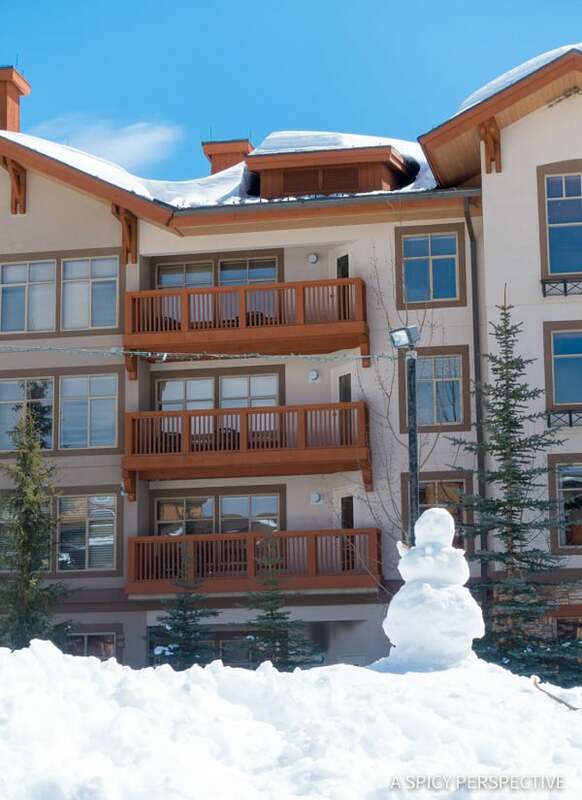 You can walk straight out onto the slopes from the village, making it a marvelous place to stay. St. Bernard’s – A casual family restaurant serving buffet-style comforting dishes, and some healthy favorites. 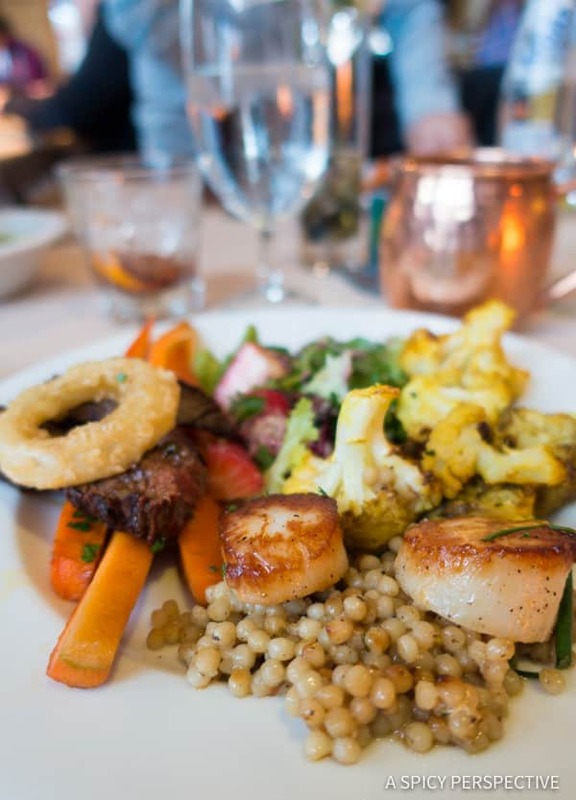 Honeycomb Grill – Elegant contemporary cuisine with a rustic touch. Honeycomb offers local ingredients prepared with a sense of artistry. 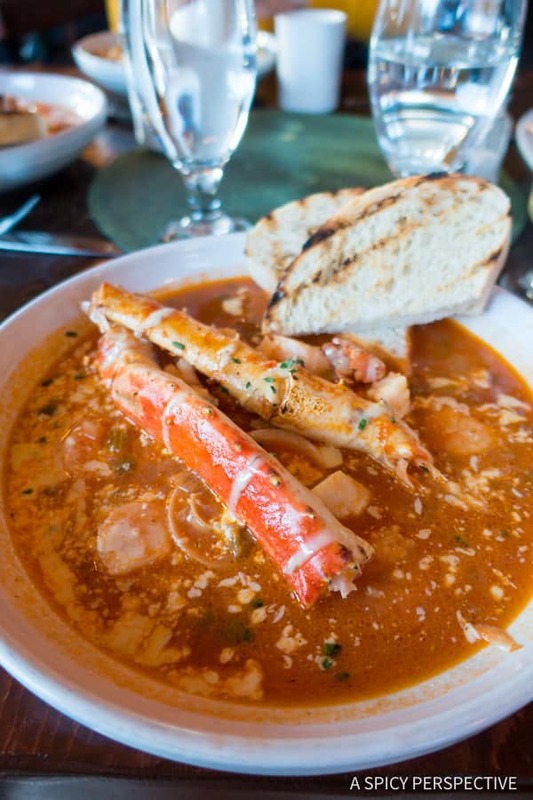 The Seafood Cioppino was truly marvelous! 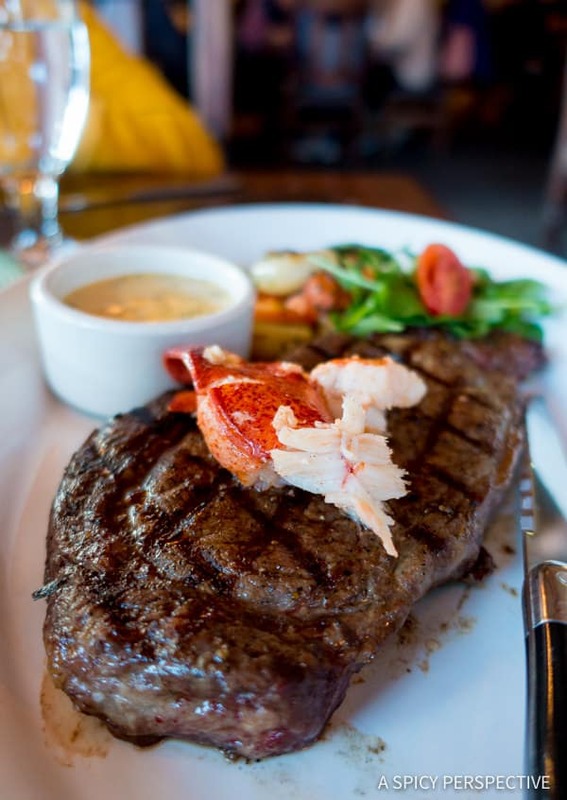 Roundhouse – Personally our favorite meal on the mountain! 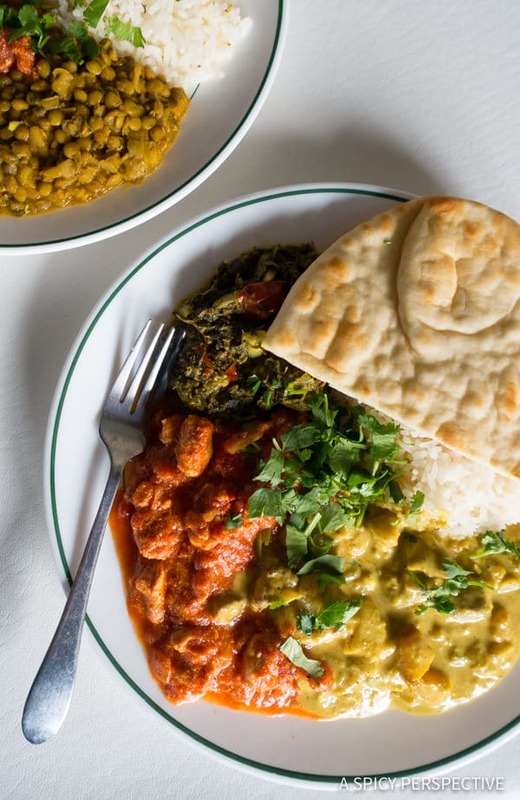 Roundhouse serves up Himalayan curries, and fusion dishes in a hurry. 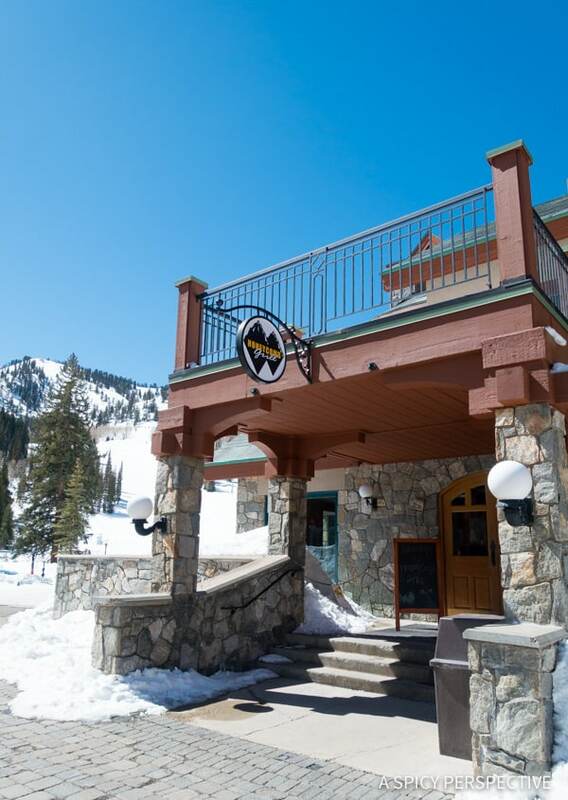 Sit out on the deck and watch your friends ski by as you dive into curry, rice, and naan. A great way to warm up after being out in the snow. Stone Haus Pizzeria – Hot fresh pizza, baked goods and ice cream! Stone Haus also serves a quick breakfast before heading out on the slopes. 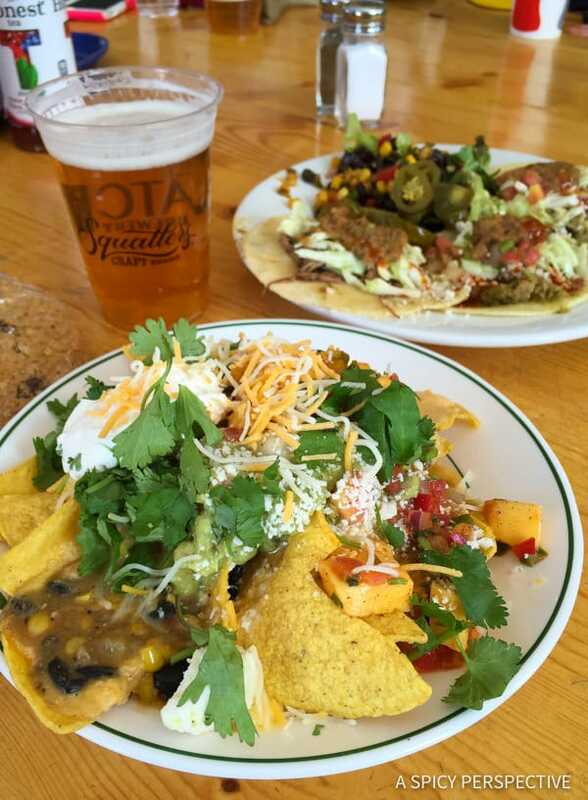 Last Chance Southwest Grill – Quick service tacos, nachos, other warm cozy Mexican inspired dishes, and local beers! 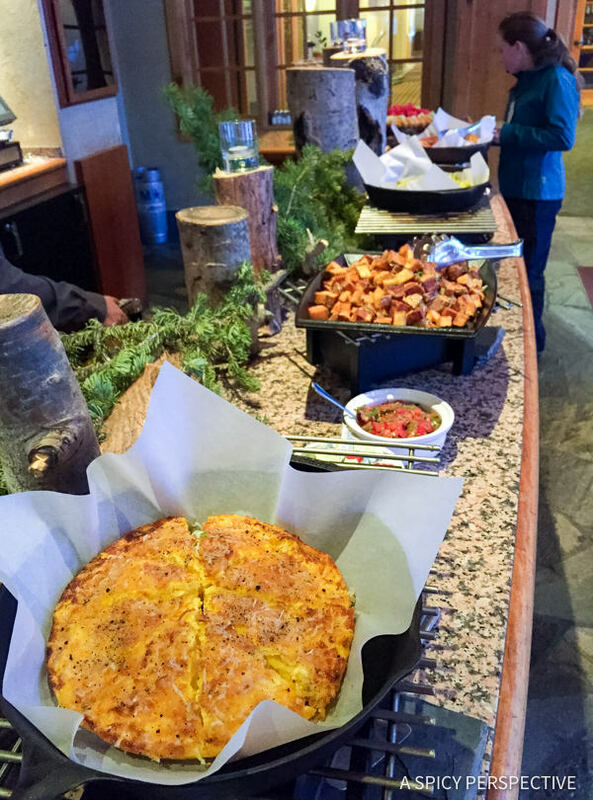 Moonbeam Lodge Dining – Classic ski lodge fare is a cozy setting. You can take your meal up on the rooftop deck and enjoy it in the sunshine. The Yurt – A truly special experience! A guided adventure that starts by snowshoeing through a forest to a hidden Mongolian yurt. Then watch chefs prepare a dazzling four-course dinner right before your eyes. Solitude also has 3 bars/pubs with local beers, wine and sensational cocktails and bar snacks. 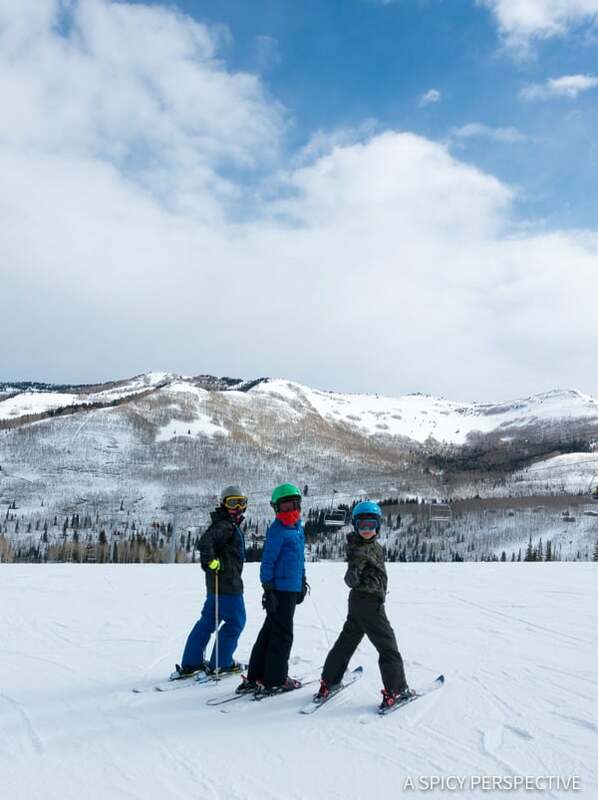 We visited Solitude Mountain Resort prior to going to Deer Valley, so we definitely needed to go to ski school on our first day. Lt. Dan and I had a private lesson to help us get comfortable skiing again after a year-long hiatus. Our instructor was so kind and patient with us, watching our technique, then gently tweaking our approach. He was a master! The kids went to ski school while we were taking our private lesson. They had a marvelous day with their instructor and came back feeling very confident. All in all, we had a marvelous time at Solitude Mountain Resort. 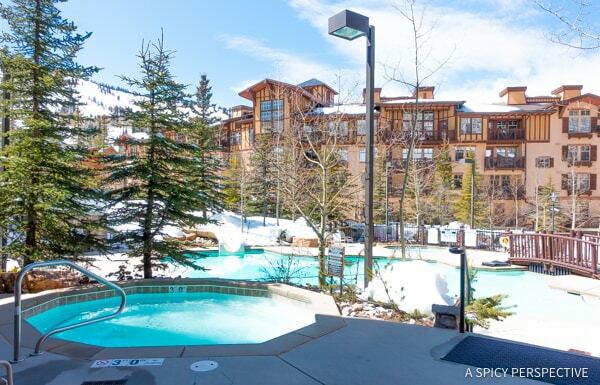 The slopes were well groomed, the lift lines were short, the ski school was great, our condo was cozy and close to the slopes, our meals were exceptional, and the kids got to splash in a heated pool at the end of the day. 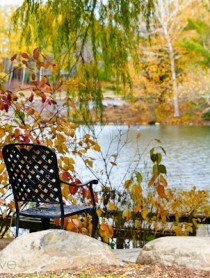 We could definitely see why Solitude is a local favorite. Hopefully we will return next year! 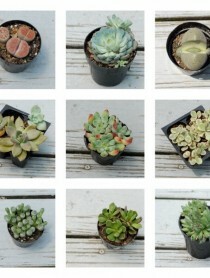 Note: By entering this giveaway, you will automatically be added to the weekly mailing list. If you do not wish to receive emails, you can unsubscribe at the the bottom of the email. Disclosure: This post is sponsored by Solitude Ski Resort. All opinions are our own. 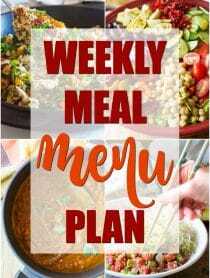 It looks beautiful and relaxing and the food looks amazing!